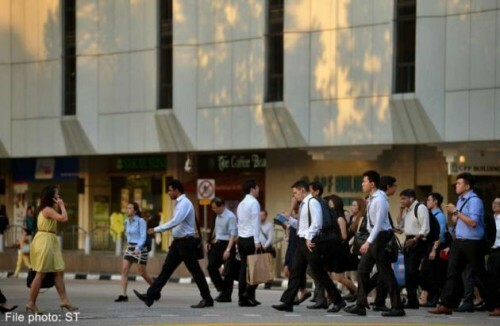 Almost 30 per cent of employees working in Singapore said that they are considering leaving their jobs this year, according to survey results released on Wednesday by recruitment and human resources provider Randstad. The 2015 Randstad Award employer branding survey polled 7,103 employees in Singapore in an online survey between Sept 8 to Dec 23 last year. The survey revealed that motivations differ across the multigenerational workforce. Workers below the age of 25 are keen to quit because they are disinterested in their jobs, with 31 per cent listing it as one of the top reasons for why they would leave. Meanwhile, workers aged 45 and above would consider changing employers if they were under poor leadership. 40 per cent of the respondents said they would leave due to a lack of career growth opportunities while 33 per cent cited low salary and the remaining 27 per cent stated the lack of recognition as the key drivers for their potential departure. Randstad Country Director for Singapore Mr Michael Smith said: "The findings highlight that all employees, regardless of age, gender or education level, have varying motivations to stay with or leave their current employer and that employers need to be acutely aware of them." He also added that employees would always join an organisation that best suits their needs regardless of the stage of life they are at. On the other hand, the survey revealed that 48 per cent of employees credited the offer of good work-life balance for their reason to remain with their respective organisations. Employees aged between 25 to 44 ranked this as one of their top three factors to consider when choosing an employer. Other reasons respondents had given for staying include receiving a competitive salary (32 per cent) as well as the financial health of their company (27 per cent). Mr Smith said: "It is interesting to observe that while 70 per cent of employees in Singapore list salary and benefits as one of the top reasons for choosing an employer, it's not the main reason to stay once they're in the role." He observed that people have shifted priorities from long-term drivers like salary and job security to those that directly affect their daily working life such as work-life balance and job content. "Employers who successfully refine their employee value proposition to suit these shifting needs will remain one step ahead in today's competitive marketplace," Mr Smith added.